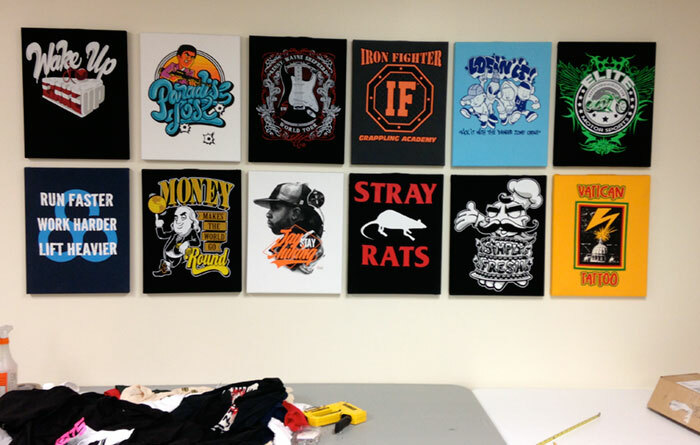 Looking for that look to make your next t-shirt design pop? 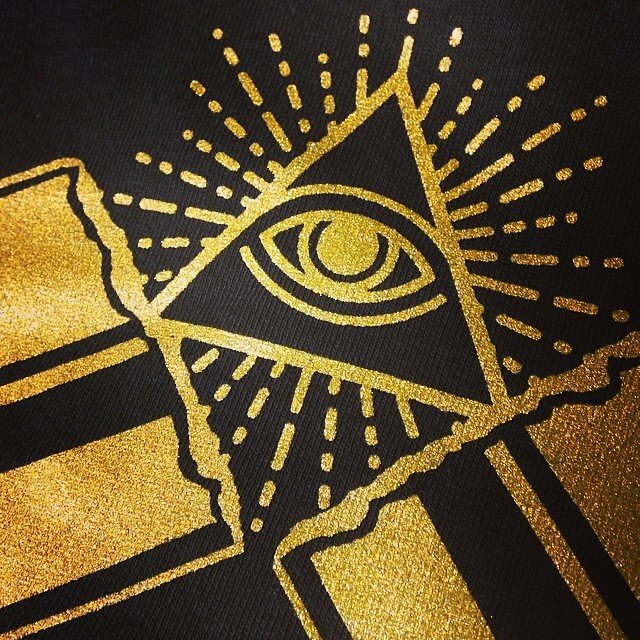 Try our Gold shimmer ink. Shows up opaque on dark colors, and will not tarnish in the wash like a lot of metallic inks and foils. 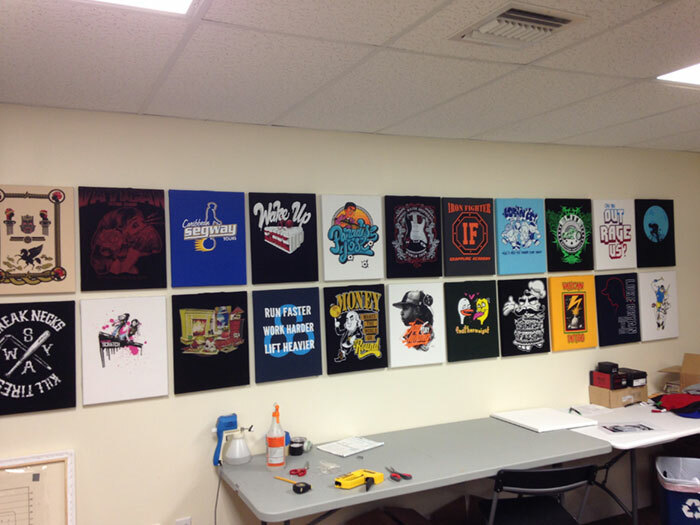 We decided to display some of our proudest work of the jobs we’ve printed on the walls of our office. 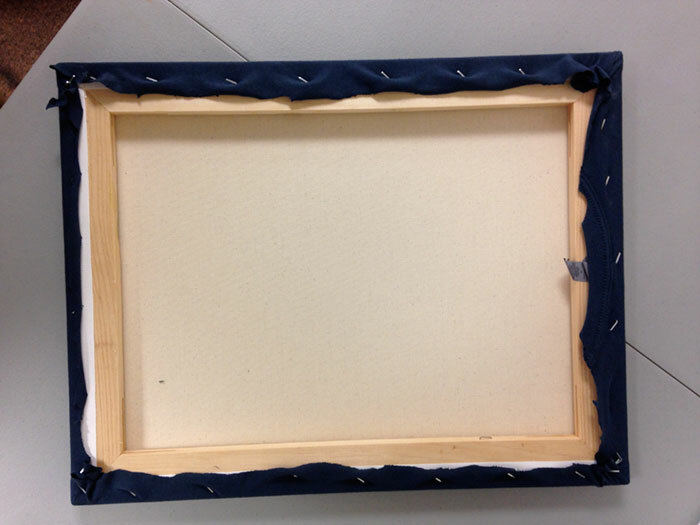 You will find instructions on how to recreate t-shirt display boards for your office, store front, or even your room. 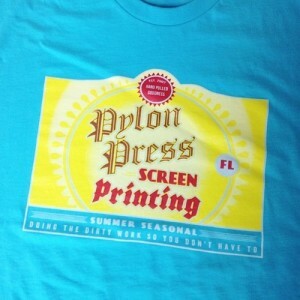 Its a very easy and inexpensive and professional looking way to show your product off to your customers and visitors. 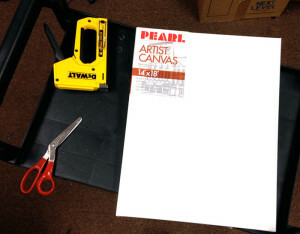 -A bunch of pre-stretched canvas from your local craft store. I found 14×18 worked for me. Okay so pretty straight forward. Slide the canvas inside the shirt and position it how you want it. Start stapling from the top (neck hole) 1 staple every 2-3 inches should do it. 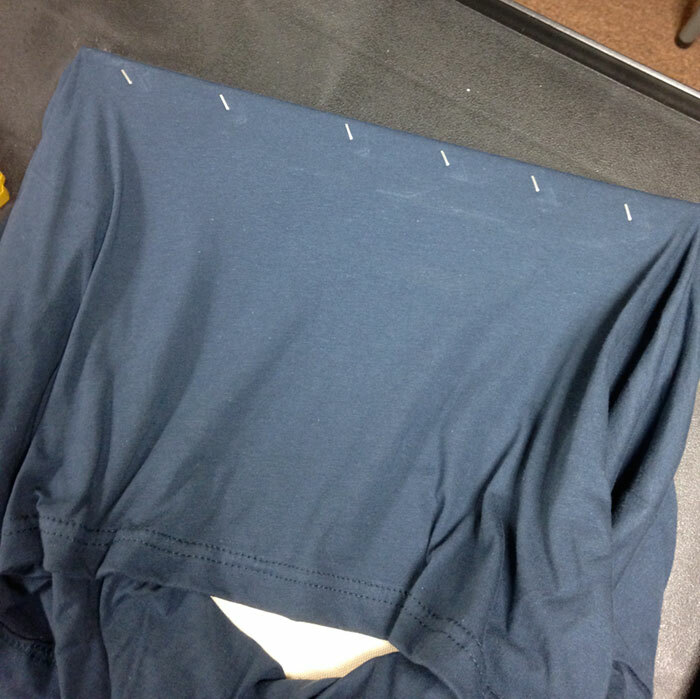 Then once the top part is done, pull the bottom tight and staple that area, then do one side, than the other. Once thats that done cut all the area of the shirt around the staples and tighten up any loose ends. 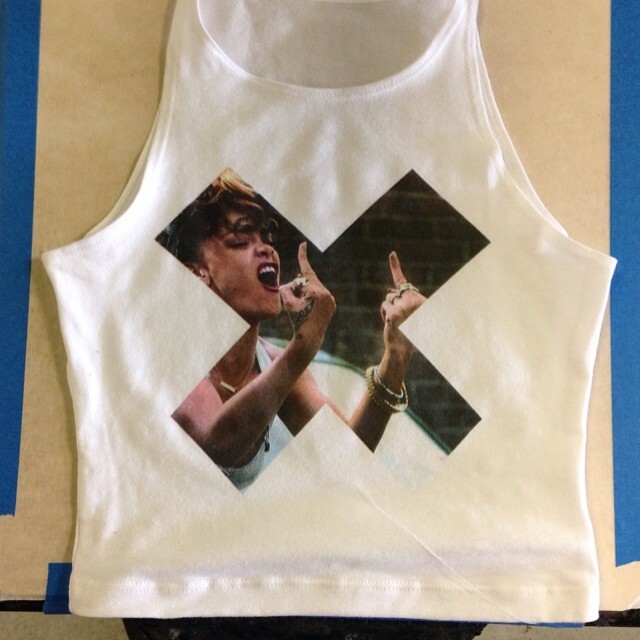 It should look like the picture of the back Ive attached. Now repeat for each t-shirt you want to display. Thats it! Good luck and watch your fingers! 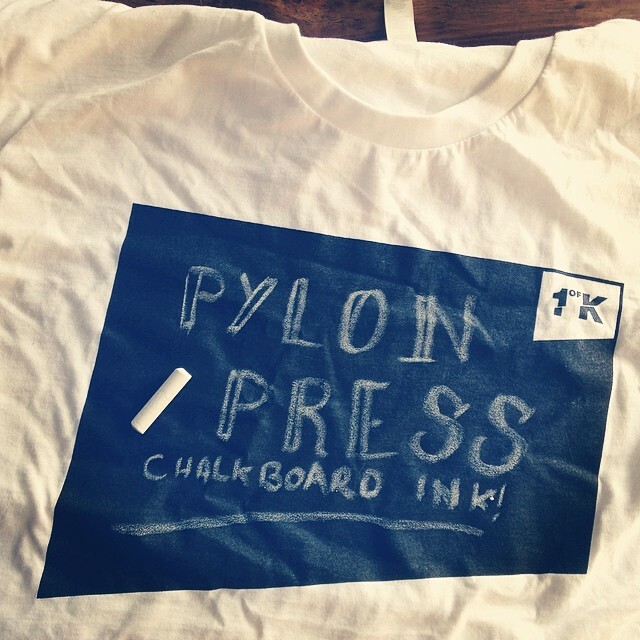 Heres a little time-lapse video of us working on the automatic press, just a sample of some footage we are working on for the Pylon Press Video. 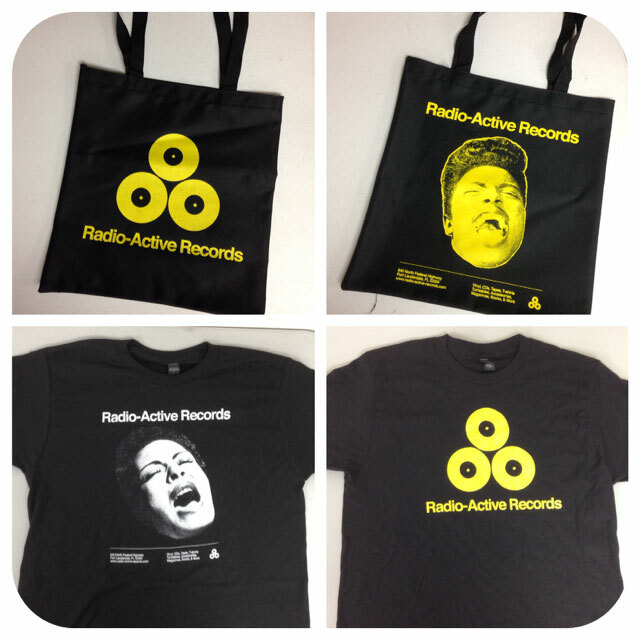 Just printed up a batch of shirts and tote bags for Radio-active Records. Be sure to stop by Black Friday for some great deals and rare vinyl!